4. 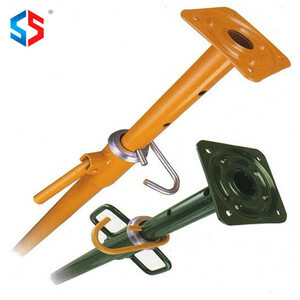 Shoring Props Quality shoring props of different specifications can be manufactured in our factory. 5. Planks/ Toe Board: Both aluminum and steel planks can be manufactured in our factory. 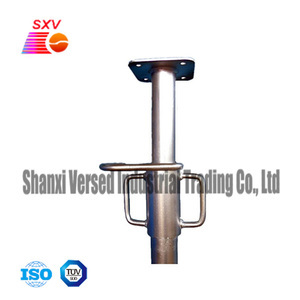 We are a professional manufacturer and exporter about casting steel products. Even though it is out of work, the material can also be recycled. (5)Steel prop can be adjusted according to the different height of the cnstructions. We will provide equipment and installation guide to every customer . 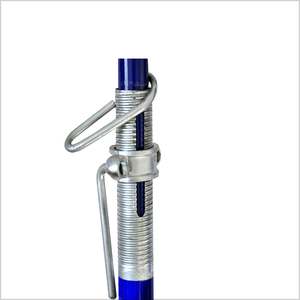 Our products are applied in different industries and are exported to various areas worldwide. 3. Q: Can I get some samples9 A: We are honored to offer you limited free samples. TYT always attach great importance to quality controlling from the very beginning to the end. 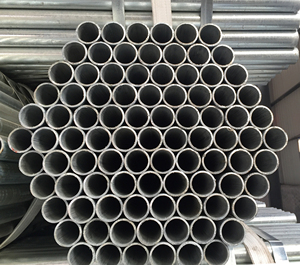 Cangzhou Ranpu Metal Products Co., Ltd.
Kaiping Chuangyu Access & Scaffolding Ltd.
3) it is soft enough and no rough edges on it. 4) can print your own design on the surface of the stick. 8) Raise your Light Up Cheer Stick and watch the enthusiasm soar! 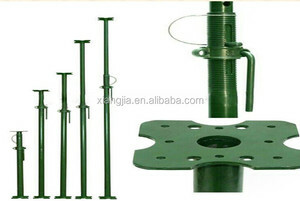 Types of base and top plate Flower plate or square plate,U head Color Orange,blue,green,or as your required Nut Nut,cup-nut Pin type Wine pin,G pin,chain pin Payment L/C at sight ;T/T 30% deposit Package Packed in bulk or in bundle. Main products including: Squre Steel Tube, Rectangular Steel Tube, Round Steel Pipe, Seamless Steel Pipe, Galvanized Steel Pipe, Hot rolled Steel Coil, Cold Rolled Steel Coils, TMBP, Tinplate Steel Coils, Tinplate Steel Sheets, Scaffold, Steel Props, etc We owned BV, ISO, SGS certificate, control quality and process very strictly. 1. Q: Are you manufacturer or trader9 A: We are the manufacturing and trading combo of construction materials, 2. Q: Can I get some samples for check9 A: Yes, free sample waiting for your inspection. 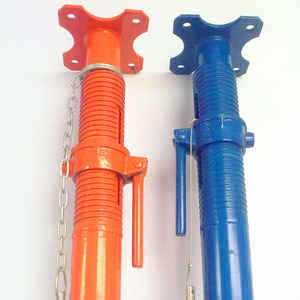 : Rizhao Weijie Metal Processing Factory is a professional manufacturer of forged scaffolding couplers. : Q: Are you a factory or trading company9 We are factory with 11 years production experience. Q: Can I get some samples9 Sample free, customer pay freight First time. 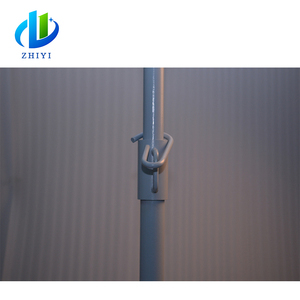 Rizhao Jushi Industrial Co., Ltd.
fully closed:120KN intermediate:98KN fully extended:94KN 7) screw design: 8) Surface finish:painted/electro galvanized/hot dip galvanized/powder coated 9) Packing:in bulk or in pallet according to customer requirements. Advanced thread rolling,multi-drilling and auto welding processes ensure high productivity and stable quality,all kinds of surface finish available to meet any anti-rust requirements. 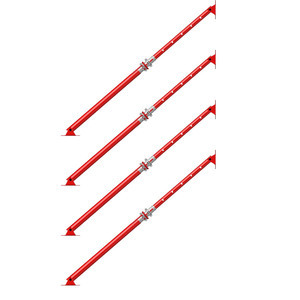 Choose us to buy reliable quality shoring props with the most competitive prices. 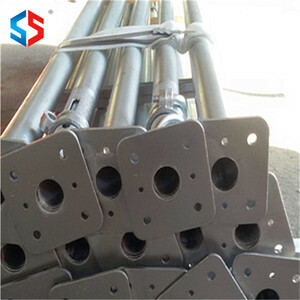 Changshu SNS Formwork Scaffolding Co., Ltd.
2) L/C,D/P are also acceptable Packing Information 1) Normally scaffolding is loaded to containers in bulk in order to load as more as possible and save sea freight 2) If customer want to unload by forklift in order to save the labor cost, then we will pack the scaffolding in steel pallet or steel case 3) Other special requirements can be discussed by both Who we are9 --We are the REAL & PROFESSIONAL MANUFACTURE for SCAFFOLDING, POST SHORE, COUPLER, ALUMINUM BEAM, BFD CLAMP, TRIO WALL FORMWORK,SLAB FORMWORK, CLIMBING SYSTEM, COLUMN FORMWORK, ect in China. --Located in Jiangsu is convenient for customer 's visiting (From shanghai to factory, It needs 1.5 hours only) --Export-oriented purpose allows us to provide excellent products at a competitive price --We are young team, average around 32 years old, full of energy, but with affluent experience of scaffolding, dipped in the scaffolding more than 10 years. --More details, please contact us by SKYPE( ID: andrewfeng007) or MOBILE: 0086 1377 621 9399 or Tel: 0086 512 5240 8793 (Mr Andrew) THANK YOU and WAITING FOR YOU HERE ALWAYS! 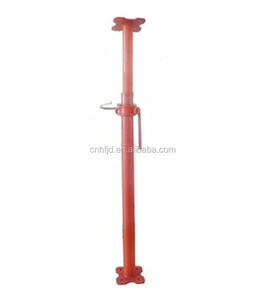 Alibaba.com offers 422 vertical props products. About 45% of these are ladder & scaffolding parts, 26% are scaffoldings, and 10% are formwork. A wide variety of vertical props options are available to you, such as free samples. There are 415 vertical props suppliers, mainly located in Asia. The top supplying country is China (Mainland), which supply 100% of vertical props respectively. Vertical props products are most popular in Southeast Asia, South America, and Oceania. You can ensure product safety by selecting from certified suppliers, including 153 with ISO9001, 24 with Other, and 11 with ISO14001 certification.